Courage takes teams further than timidity. To encourage is to inspire courage. Negative energy is like running with rocks in your pockets. Successful leaders make hard work worthwhile. Skillful leaders use encouraging language everyday. What’s the next imperfect step you could take? If you weren’t nervous, what would you do next? I’ve seen you rise to challenges in the past. Give yourself permission to encourage imperfect people. Don’t use someone’s weakness in one area as an excuse to withhold encouragement in another. 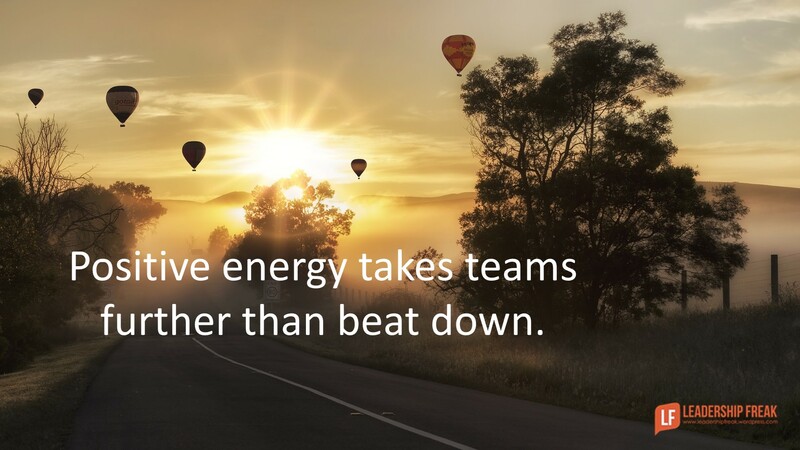 Lifting-up takes leaders further than beating-down. What sentence starters do you find most useful? 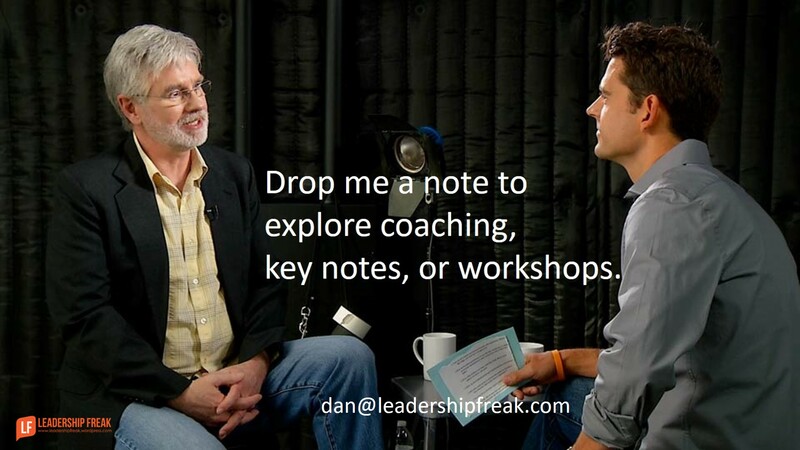 How might leaders encourage team members? Thanks Pamela. You’re very kind. It’s a pleasure to be of service. Assure them we have done this before! Standing beside them, working with them, telling them we can do this and complete the mission. Lead by actions with some “uplifting words” that you have already stated Dan.. Thanks Tim. There is something powerful about standing shoulder to shoulder with someone. I mean that both figuratively and literally. Great! Would it strengthen the starters to replace the “I” with “we” to make the leadership message more inclusive? Thanks Don. “We” feels much bigger and more inclusive. Sometimes I feel like “we” is something to hide behind. But not in this case. Thanks Dan for the reminder this morning that great leaders inspire through both words and actions. I had the opportunity just yesterday to provide words of encouragement to one of my team members for setting a great example and speaking out to other team members regarding the great opportunities that our organization provides. Her words to the team came at a great time and required her to step out of her own comfort zone. She was great! This is an awesome article…. excellent tips! I also like the question, “What if….,” to bring ideas on next steps. Thanks Lisae. Yes, “What if….” helps open the mind. Great add. “The beatings will continue until morale improves.” does not inspire courage? who knew? Thanks for the chuckle, Pete! Much appreciated. Thank you for this post. Our team in my office has been dealing with some leadership issues, our current leader is out on medical leave, and we all feel like the “red-headed stepchild” for lack of a better term. Reading these blogs every morning help me remember that I can still make a difference with my team by following these suggestions. That we can all step up and be leaders when we are needed! Thanks Stacey. Your comment is a real encouragement to me. The first step toward leadership is believing we can make a difference. Best for the journey! I like leaving the opening a bit open ended to increase engagement/connection… go up to someone who has done something excellent, innovative, caring, et al and say… ‘you blew me away’ or “I heard you were amazing” and leave it at that so that the person can inquire what the heck I am talking about. Then we get the engagement in gear. The same can even occur through the sometimes maligned email. If you send someone an appreciation email that is genuine and very specific, when you see that person later, they will beam and connect even more. Sending the email may feel slightly cold/impersonal, but if it is from the heart, it will have an impact. Thanks for being here Dan, have appreciated you and your thoughts/vision/words for quite a few years now! I loved this article and shared it on LinkedIn. I especially loved the question, “What is the next imperfect step you can take?” So often those we lead are waiting for the perfect solution, and while they wait, decisions are being made without them. I think this is very true. Leadership and influence vs authority work better all the time.